One of the most common questions we get asked is "how to win at slots?" Everybody wants to learn how to win at casino games, and nothing makes more sense. What's the point of playing slots, or any casino game for that matter, if you're never going to make any money? So, the question is, can players learn how to win at slots? For the latest no deposit gambling sites check out casinosnodepositbonus.co.uk. There sure are smart ways to play slots. First find out about the slots house edge. Here is the list of the winning slot machine systems. And here are the best online slots reviewed for your information. For most of us gambling is all about the thrill and entertainment but then again, there are those that have the uncanny ability to recognize the science behind game selection and wagering. Unfortunately, not all of us can wrap our brains around the mathematics behind determining odds etc. Depending on your game of choice, the odds vary. For example, the odds of winning on Video Poker are much greater for players than they are on Slot Games. No matter what, there is no doubt that the ultimate result would be to place a jackpot winning bet. Gamblers dream of this outcome and luckily there are tools that calculate the moment when players have an edge on an online jackpot, known as the break-even value. So you may be wondering what on earth is the break-even value in terms of online jackpots? Once the Return to Player (RTP) on a jackpot wager reaches 100 percent the casino loses its advantage, which is known as the break-even value. The best they can do is “break even” if the jackpot is won is at this point. The moment the jackpot amount exceeds this amount, the player now has an edge over the casino. So in essence, RTP under 100 percent gives the casino the advantage and RTP over 100 percent gives the player the advantage. Calculations behind determining all of this are far beyond my scope of comprehension so I thank those mathematicians that have done the work for us. In order to compile this information, the probability of winning a jackpot on a specific game is used. This information can be calculated rather easily (for some) based on the odds for hitting the Royal Flush on a single deck of cards. Card games with jackpots offering a player edge are easier to calculate because this information is standard and readily available. Once you move into slots it becomes more difficult because the provider does not typically disclose the probability of hitting the progressive jackpot, which is required to calculate the sweet spot. It is for this reason that tables and graphs reflecting jackpots with a player edge primarily display card games but may also include Keno. Now you’re probably wondering which card games are hot at the moment. Progressive jackpots on card games are available from a number of software providers, which gives players options in terms of game and online casino preference. When it comes to progressive jackpots, the jackpot on any given game is the same from casino to casino in many cases. For example, if you select a Microgaming progressive jackpot game, you’ve got the same chance of winning the same jackpot whether you play the game at 32Red, Yukon Gold or any other operator that features the game. With that said, there are games where this rule of thumb does not apply. A specific brand may be holding the highest jackpot value on a game so it really depends on what you choose to play. 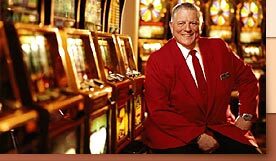 A great example of a resource for “Jackpot break-even amounts and current RTP values” was created by CasinoListings.com with some help from The Wizard of Odds himself, Michael Shackelford, who provided assistance with calculations, formulas and that sort of wizardry. For example, Random Logic’s Caribbean Poker jackpot had shifted from house edge to player’s edge as of August 2015. The jackpot value on August 21st was $235,789. The table displays additional information including break-even, RTP and win chance. For this particular game, the break-even amount was $218,047 and the RTP has exceeded 100 percent at 105.2 percent. A player’s chance of winning the $235K jackpot is 1 in 649,730. When the jackpot prize surpassed the casino’s break-even value, the casino now loses money when a lucky player hits the progressive.